A case study is a method of research. It's an in-depth study on a person, a group of persons, or some other specified unit. Typically, you're looking to see what worked and what didn't work. This method of research is a systematic approach that evaluates several variables, either in search of a deeper understanding or an eventual proposal. Let's discuss the fine points that'll help you learn how to write a case study. In order to draft a proper case study, you have to be crystal clear about your intent. Before you take a deep dive into a particular subject, you have to understand the parameters. For example, let's say Company X started advertising on Facebook last month. As a case study, someone might come in and analyze the company's profit and loss since they began their ad campaign. In this study, the new venture will be analyzed to see what worked and what didn't work. That's a general overview. Illustrative - These case studies are heavy on description. They try to explain a specific situation, phenomenon, or event, going really in depth with the details. Exploratory - These are like the case study before the case study. They serve to prepare information before the primary study begins. These types of studies will select the research questions that should be focused on, as well as the recommended measurements that should be used throughout the study. Cumulative - The title of this type of case study alludes to its function. It gathers prior studies, summarizes them, and makes generalized assertions about old investigations in order to avoid a repetition of similar studies. Critical - These case studies take a cause and effect approach. They select a generalized assertion and test it. In some ways, these, too, can eliminate the possibility of repetition if a known assertion proves true time and time again. These "deep dives" can be developed in school to test a theory or, out in the "real world," companies hire consultants to perform case studies on their methodologies to see what's working and what needs improvement. If you find yourself in either of these scenarios, these steps will help you write a full and detailed case study. To begin, you must thoroughly understand the subject at hand. Remember, a case study is an intensive, systematic investigation into a person, persons, or some other unit. You'll examine in-depth data relating to several variables. This is an observational and analytical pursuit. So, it's time to get to know the case! First things first. Take a copious amount of notes on the person, persons, or other subject being analyzed. Highlight relevant points and underline areas of intrigue. Once you've introduced yourself to the subject, you can move on to external research. Watch media clips, speeches, debates, and discussions. All this, as well as whatever else you can get your hands on, will solidify your already strong foundation; it'll serve as a baseline for understanding and help you develop your solutions. At this point, you have your notes on the subject being studied. You also have your research pertaining to literature reviews and other studies. Now, it's time to synthesize your observations and data collection. Let's go back to our Facebook example. At this stage, you'd want to analyze the current sales and profit information. You'd also want to see how the company advertised before they began the Facebook campaign. You could also take a look at their planning and strategy to get to the point where they decided to run a new ad campaign. This is an important step. With this information in hand, you'll have a record of information both before and after the sales campaign was run, in order to measure change. Introduction - Your introduction stands to serve as an overview of all your hard work. Begin with a thesis statement that indicates what was being analyzed and why. Assume the audience isn't familiar with the subject at hand, offering some context. Background Information - It's best to break the body of your case study into two parts, because now it's time to lay out all your cards. Start by outlining your background information, pertinent facts, noted issues, and prior research from other sources. Record your notes similar to a narrative essay; tell a story. Study Findings - Then, it's time to share the actual observations and data you recorded yourself. Note any areas of intrigue or uniqueness. Did they line up with your prior research or contradict it? As in the example of the Facebook ad, mention what you noticed before, during, and after the ad campaign commenced. Break your presentation into appropriate subheadings, so the reader will know what topic is being addressed in each section. Conclusion - Your conclusion is just that. It's a wrap up of what was observed, unearthed, and dissected. This might be the place for a call to action. If this is for school, you can leave it as an open-ended or rhetorical question. If a company has hired you to conduct a case study, then you might want to recommend a specific calls-to-action so that, moving forward, your research will live to serve a valuable purpose. Here's more on how to write an excellent conclusion. What you see above will help you create the bones of your research project. You'll be well-positioned to tackle copious amounts of research and present an in-depth study. Yet, sometimes, it helps to see someone else in action. Below, you'll find two case studies. Each takes a slightly different approach to the formation of a case study, but you'll find the flow is almost the same. They outline the topic at hand, relay their research, and indicate the importance these findings have on the subject at hand. Here's a fantastic example of a case study from Ashford University's Writing Center. In this study, the author took a close look at Starbucks' human resources department and found they rely heavily upon solid recruitment tactics and effective management. Specifically, Starbucks employees are called "partners" and they're encouraged to build a career with the company, not "take another job." The paper concludes by saying that companies who demand a lot must give a lot. In the end, this strategic form of management will allow the company to continue to grow exponentially. For formatting tips, this is a wonderful page to bookmark. 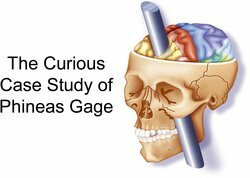 The case study of Phineas Gage focuses on a man who epitomized the term "medical miracle." The author reviews the trauma of a man who, while working, sustained an injury wherein a metal rod thrust into his cheek, through his brain, and out the other side of his skull. The point was addressed that, seemingly, no one should be able to survive such trauma. Yet, he did. He not only recovered, but went on to work (in more mundane capacities). What was affected was his personality and overall temperament. In the end, we see proof that people can survive traumatic brain injuries. However, depending on the lobe that's affected, personality changes might be difficult to overcome. The format of this study is different, but the same premise is followed: introduction, findings, conclusion. If all this has got your science juices churning, why not stake a claim against a commonly accepted notion? Perhaps you'll create your own hypothesis and test the world's knowledge of some known fact. This in-depth article on Examples of Hypothesis Testing will help you formulate the scientific hypothesis of your dreams. Who's ready to become the next Albert Einstein? "How to Write a Case Study." YourDictionary, n.d. Web. 24 April 2019. <https://grammar.yourdictionary.com/grammar/writing/how-to-write-a-case-study.html>. A case study is a method of research. It’s an in-depth study on a person, a group of persons, or some other specified unit. Typically, you’re looking to see what worked and what didn’t work.This method of research is a systematic approach that evaluates several variables, either in search of a deeper understanding or an eventual proposal. Let’s discuss the fine points that'll help you learn how to write a case study.